This is an oil pastel that I made for my mom for mother’s day. 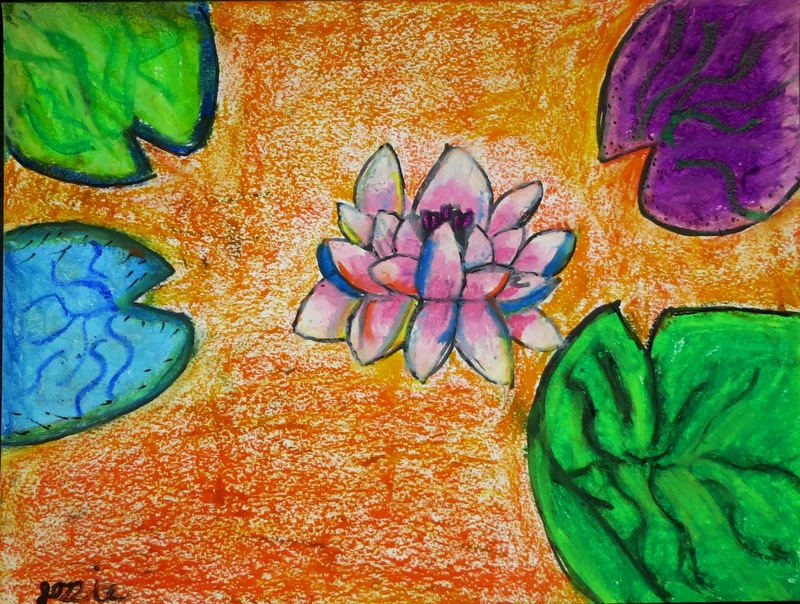 It was my next oil pastel project in my Thrive Art course. I sent the picture to Plum Tree Books because they are making a book about mothers. Dr. Clune said my picture is going to be published in the book! You can click here to read about the book. Go HERE to learn more about the great Thrive Art classes I take! 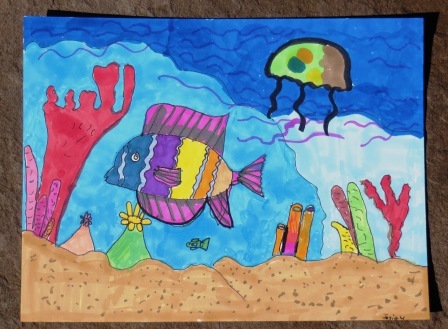 I am taking a summer art course online at Thrive online art school. It is a lot of fun and I am learning a lot. This is my second project, a parrot. I liked learning about the different flowers and how to draw them. I hope you like it. I worked hard on it and I really like how my parrot turned out. I added an extra snake. I like the colors in this picture. My next project is a castle. You can find out about Thrive art school on its website – click HERE. 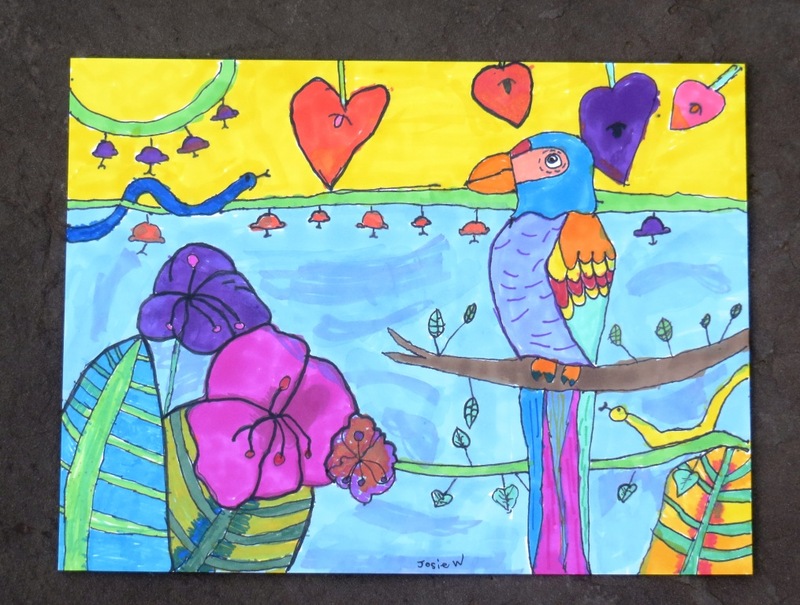 I am taking a summer art course online at Thrive. I just finished my first project. It taught me how to draw an angel fish and make the background. I learned about lines and making the picture look like it has texture in it. I learned about colors blending into other colors too. Here is my first project. I hope you like it.